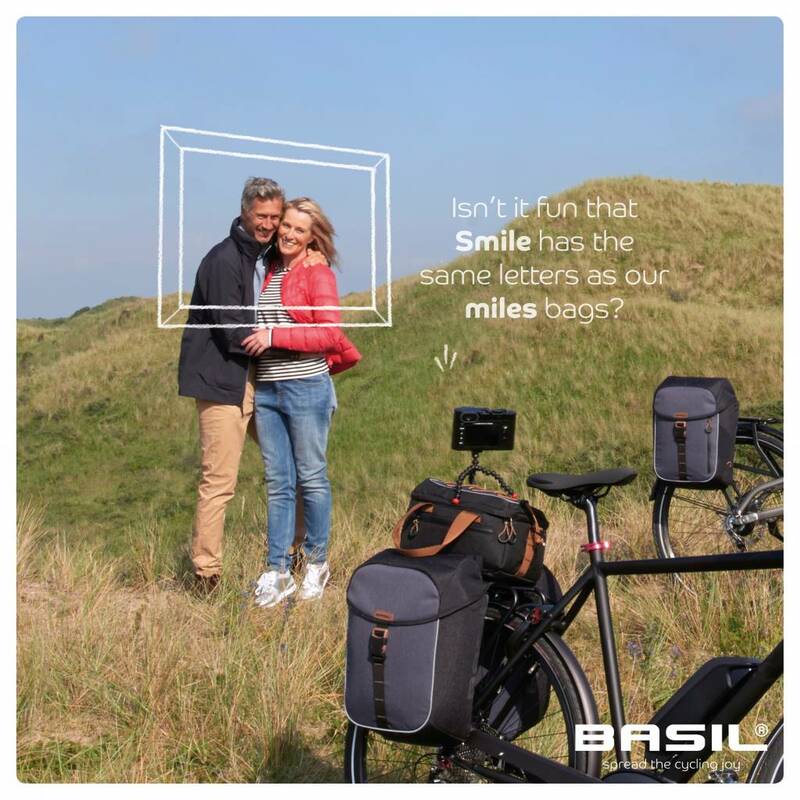 The Basil Miles Trunkbag is a sporty choice of bicycle storage that will suit both men and women’s bikes. A pre-assembled MIK adapter plate means you can attach your bag to any MIK system in as little as a second. The Basil Miles Trunkbag is a black luggage carrier bag that is a must for any sports fan or cyclists who enjoy outdoor pursuits, with a pre-assembled MIK adapter plate included for easy fastening to your frame in as little as a second. With this bag at your back, you’ll never have to skimp on storage, while always remaining fashionable. Moreover, this bag is incredibly handy and a multifunctional marvel. Made from hard-wearing polyester, this bag is incredibly robust and waterproof, ensuring your items stay dry in all weathers. This trunk bag can be fastened to your luggage carrier in moments thanks to the MIK system, with the included adapter plate providing a secure fit to any frame that’s already equipped with the MIK system. Removal is just as fast should you wish to take your bag with you on foot for the next stage of your journey. An integrated lock also provides you with peace of mind against theft. The removable shoulder strap gives you plenty of choice when it comes to how to wear your bag. With a total capacity of 7 litres, this bag provides adequate space for daily essentials, with additional compartments inside so you can organise your items with ease. A quality inner lining adds to the integrity of this design, with secure fastening for total security when you’re on the move, plus loops for adding LED lights to enhance safety. An ideal accessory that any cyclist will appreciate. 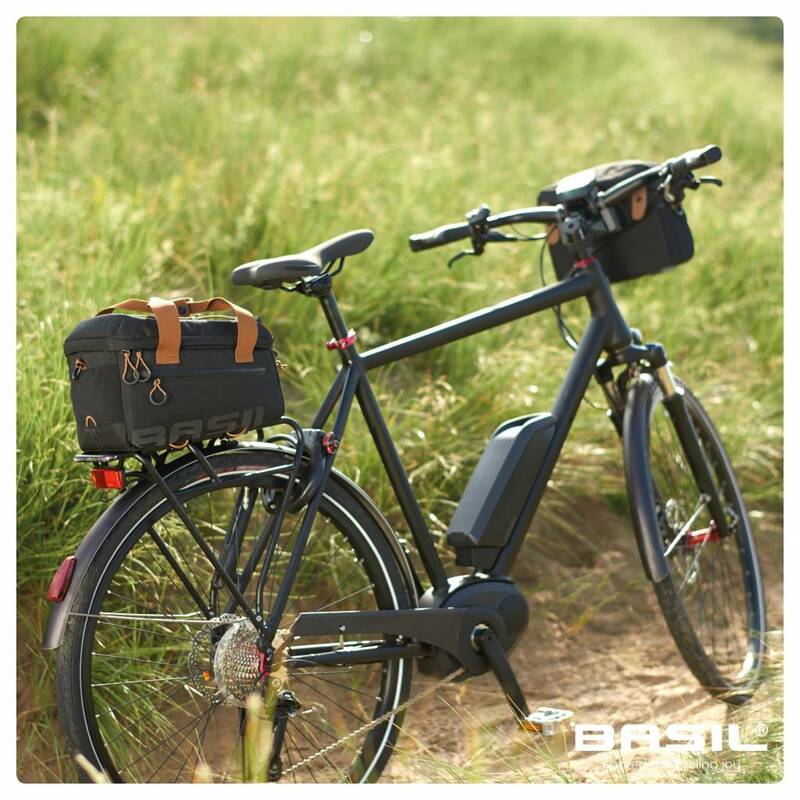 Looking for more first-rate storage for your bicycle? Browse the entire range online today at Basil. This luggage carrier bag includes pre-mounted adapter plate for MIK system. Easily attached to any bike with MIK system. Handy lock and key provides protection against theft. Waterproof material keeps contents dry. Reflective trims and option to add LED lighting enhances safety on road or cycle path. Removable shoulder strap provides you with full flexibility.